We begin the interview discussing Teresa’s early influences — The Wizard of Oz and The Lord of the Rings — and the way they helped her define the type of books she wanted to write. Teresa’s characterizes most of her books as alchemical fairy tales, starting with her first Celydonn book. She reveals she doesn’t use the internet for research; instead she focus on books that explore the daily life in earlier times, research that gives life to the details. To add further realism to her works, she call on her husband and friends who are historical re-enactors. While Teresa’s books are character-driven, the world building aspect is very important. She wants readers to feel as if they can breath the air of the worlds she creates. While many or her books depict an 18th century type of society, she leans heavily on a 19th century style of writing. Her works recall authors such as Rafael Sabatini, Russell Thorndike, Charles Dickens, Georgette Heyer, and Robert Louis Stevenson. Teresa is re-releasing her earlier works, both in print and in ebook formats. 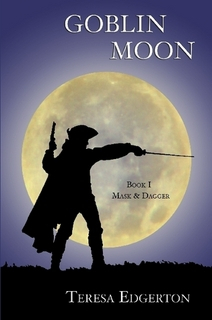 Her first re-release is Goblin Moon, a proto-steampunk novel or fantasy of manners. 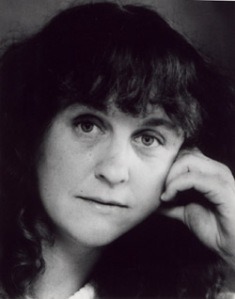 Teresa’s books are also available under the pseudonym Madeline Howard. The series written under this name — The Rune of Unmaking — are darker, reflecting many of the changes the author has gone through in her life. She is working on the third book in the trilogy. This series revisits the world of Goblin Moon, but centuries separate the series, allowing Teresa to explore evolutions of mythology. In addition to working on her own books, Teresa shares advice with new writers on the SFF Chronicle website. She highly recommends all writers read a lot and read broadly. Also, any problem can probably be solved by looking back at what you’ve already written. Following the interview with Teresa, Kghia and Simeon reflect on some of their past interviews. Kghia’s favorite interviews include Barbara Hambly, Kristine Kathryn Rusch, and Seanan Mcquire. From previous seasons, Kghia has enjoyed interviewing some of her favorite authors including Gail Carriger, Marjorie M. Liu,and Vicki Pettersson. For Simeon, interviews with Donna Fletcher Crow, Nancy Holzner, Barbara Hambly, and Peter May stand out.